Treeshrews represent an enigmatic group of small mammals that have bewildered primatologists for over a century. This confusion persists in part because of our poor understanding of treeshrew ecology. Emmons (2000) has provided a much-needed field study of treeshrew behavioral ecology. Emmons (2000) emphasizes that the ecological diversity among treeshrew species makes it difficult to summarize the behavioral ecology of the order. Among treeshrews there are nocturnal and diurnal species, montane- and lowland-living taxa, terrestrial and arboreal groups as well as a variety of substrate specializations among the different species (Emmons, 2000). All treeshrew species eat fruits and insects, but not necessarily the same ones or in the same proportions (Emmons, 1991, 2000). As early Cenozoic primates are reconstructed to have broadly similar diets (e.g., Covert, 1986; Strait, 2001), treeshrews maybe useful as a living model for studying the chewing behaviors of the earliest primates. We know more about treeshrew morphology as compared to their behavioral ecology. Several studies have focused on the morphology of the treeshrew masticatory apparatus, or at least specific parts of it (e.g., Butler, 1980; Fish, 1983; Gregory, 1910; Hiiemae and Kay, 1973; Kay and Hiiemae, 1974; Le Gros Clark, 1924, 1925; Mills, 1955, 1963, 1967). Treeshrews are small mammals, ranging in size from 45 to 350 g. Compared to primates, they have long jaws for their head size. These longer jaws are linked to their relatively longer snouts. Butler (1980) describes treeshrew molar teeth as dilambdodont and suggests that they "have not departed far from the primitive tribosphenic type" (Butler, 1980: 184). Hiiemae and Kay also state that treeshrew molars are well-suited for vertical shearing as opposed to crushing and grinding (Hiiemae and Kay, 1973; Kay and Hiiemae, 1974). They add that primate molar evolution is marked by a shift away from predominantly molar shearing toward an increased emphasis on crushing and grinding. This supports the argument that treeshrew teeth represent a reasonable functional model of early primate dentitions. We are certainly not the first researchers to utilize treeshrews as a living functional model of early primates (e.g., Emmons, 2000; Le Gros Clark, 1959a,b; Sargis, 2001; Simpson, 1950, 1965; Tattersall, 1984). Numerous researchers have adopted treeshrews as a model for primitive primate chewing (see Biegert, 1956, 1963; Butler, 1980; Fish, 1983; Le Gros Clark, 1927, 1959a; Hiiemae and Kay, 1972, 1973; Jablonski, 1986; Kay and Hiiemae, 1974; Simpson, 1945; Mills, 1955). It certainly is possible, however, that treeshrews are a poor model for primitive primates (see e.g., Martin, 1990). We simply assume that treeshrews mimic the feeding behaviors of early primates, but we can only provide inferential evidence supporting this assumption. As with all such analogies, our use of Tupaia belangeri (or any other living species for that matter) as a functional model for early primate chewing should be viewed with caution. Cineradiographic studies have documented complex jaw movements during chewing in Tupaiaglis (Fish and Mendel, 1982; Hiiemae and Kay, 1973; Kay and Hiiemae, 1974). Three aspects of treeshrew jaw morphology may explain this capacity for complex jaw movements. First, they have highly mobile, unfused mandibular symphyses that facilitate independent movement of the two hemimandibles during chewing (Fish, 1983, Fish and Mendel, 1982; Hiiemae and Kay, 1973; Kay and Hiiemae, 1974). Second, the morphology of their temporomandibular joint allows a range of complex jaw movements (Fish, 1983). Finally, the position and orientation of treeshrew jaw muscles facilitate mandibular movements in multiple directions (Fish, 1983). We know very little about jaw-muscle activity patterns and force production during chewing in treeshrews. 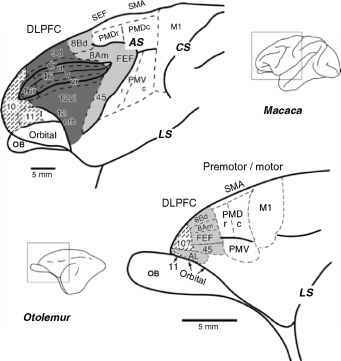 There also has been little comparative morphometric work examining the functional morphology of treeshrew jaws. Our goal here is to begin addressing these shortcomings by characterizing jaw-muscle activity patterns during chewing in treeshrews.